It's a Mom Thing Reviews & More! 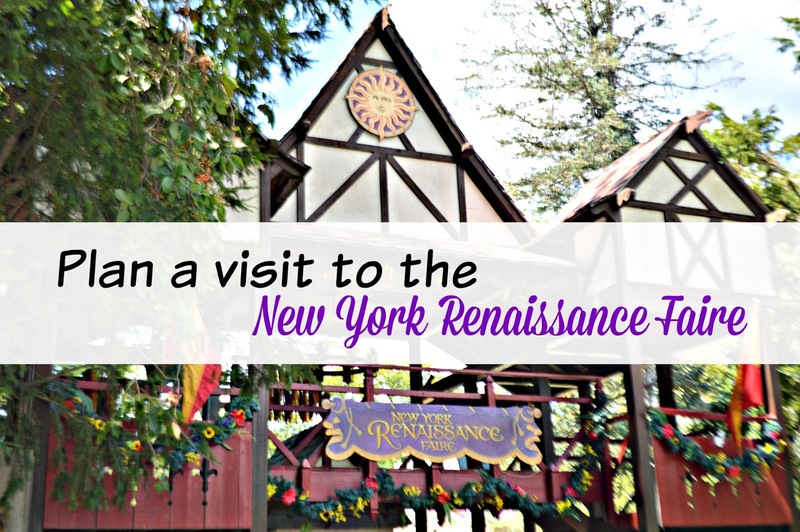 : Plan a Visit to the New York Renaissance Faire! Plan a Visit to the New York Renaissance Faire! Growing up in Northern New Jersey one of my favorite places to visit was the New York Renaissance Faire. I always looked forward to visiting with my family and going with other students on class trips in high school. Every year I have talked about taking my daughter but we just never quite made the trip, which was so silly since it is less than an hour from our house. This year I knew that I had to take her and I was greatly looking forward to it. I knew that she would love all of the activities, rides, and fun shops. We picked a day and we were so lucky because the weather was beautiful to enjoy a day out! As soon as we arrived my daughter began commenting on how beautiful the faire ground is and how cool all of the costumes were. She was in awe, and who could blame her, it was all truly amazing! Although there are so many amazing shows and things to do at the New York Renaissance Faire, my favorite part is always walking around and looking at all of the wonderful shops and stands. I love that I can find handmade items that are unique. There are over 100 places to shop in the marketplace so there is absolutely something there for everyone. There are also places to have your hair braided, rent clothing for the day, get your face painted, get henna tattoos, and way more! Below are some photos of a few of the shops and stands around the faire. Since most of our readers plan family visits places I thought that it would be really important to share Mia's favorite parts of the day. She really enjoyed everything about the New York Renaissance Faire but of course she had her favorite parts which she told me were playing with marshmallow shooters (which I totally regret not purchasing), the maze, a camel ride, and the dream boats ride! Of course Mia did other things too! Below are some photos of some of the other things that we did at the New York Renaissance Faire including the dragon swing, some games, making a necklace filled with pixie dust, and wearing an ivy crown that she picked out. There is also a photo of my sister getting elf ears which my sister is obsessed with! The New York Renaissance Faire is a perfect day trips for adults, teenagers, and families. My daughter and sister had a blast and are already talking about how much they can't wait to come back next year! Visit the New York Renaissance Faire Website HERE! OH! I want to come next year that looks like an incredible time! Thanks for sharing! That looks like so much fun. I really want to go to the Renaissance that is close to our area. I think it would be tons of fun. It looks like you all had a wonderful time as well. That looks like so much fun, and I'm sure your little learning buff enjoyed it! It's nice that you could have a family day out. Our Renaissance Fair is geared a lot more towards adults.